It was hot and sunny last Saturday – so we decided to hike as much in the shade as possible. Initially we had planned to hike the Twins or Dragon’s Back but that was just a stupid idea. So Monica and I met up to hike somewhere in Quarry Bay, which has become our usual ‘hangout’ place. 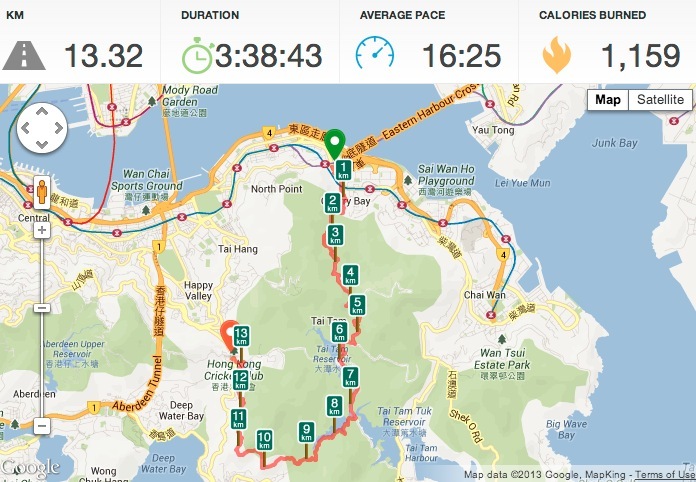 We followed Mount Butler Road upwards, then walked downhill past the Tai Tam Reservoir … and suddenly decided to turn right and follow the Tai Tam Intermediate Reservoir to Violet Hill. Clearly, Monica did not pay much attention when I mentioned Violet Hill to her, as this is actually quite a steep and exposed climb! So we walked along the reservoir on a small foot path that went across a few small streams and included quite a lot of roots, rubble and stones. We reached the base of Violet Hill and then started to climb it – very slowly. But we’ve suddenly had a better idea. 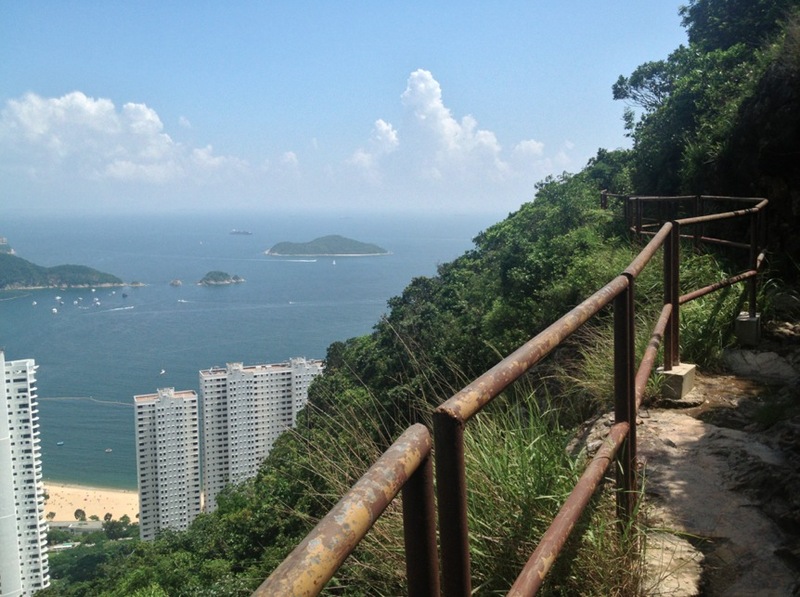 Let’s follow the country trail from Violet Hill (base) to the Wong Nai Chung Reservoir (where you can hire a boat for a few hours – check out this blogpost). This was a clever move, as the trail goes along Violet Hill, but not across it. So it is fairly easy and flat. 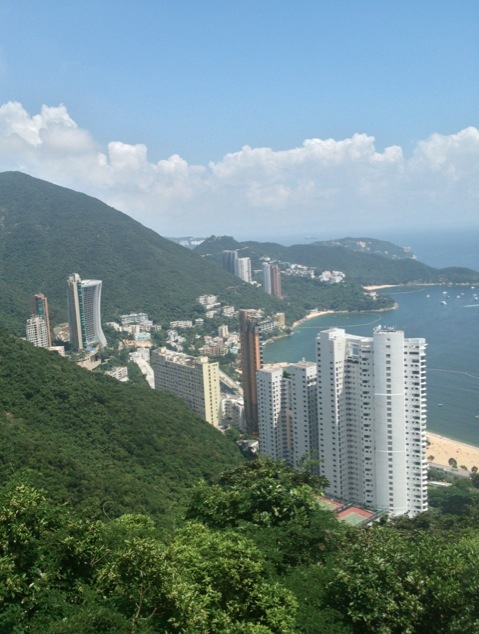 There are a few exposed areas, but from there we’ve had a great view over Repulse Bay in the South – so we did not mind it too much. 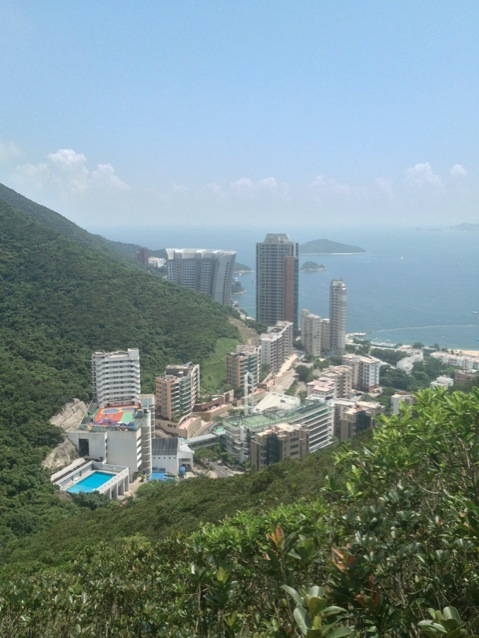 It turned out to be quite a good hike – actually 13km altogether. We took it slowly and spent 3,5 hours walking it leisurely – before taking a taxi to the Hopewell Centre for a big bowl of Pho noodles at Nha Trang. What a nice way to spend a Saturday!